KENT, January 23, 2018 — The Seattle Thunderbirds came back from two goals down in the third period Tuesday night at the accesso ShoWare Center to defeat the Brandon Wheat Kings 6-5 in a shootout. The T-Birds have a five-game winning streak and have at least a point in 14 of their last 16 games. The Wheat Kings were leading 5-3 when Dillon Hamaliuk scored at 12:29 of the third period. Noah Philp had the puck along the right-wing boards and put a shot on goal. Hamaliuk redirected the puck past Brandon goalie Logan Thompson as he went down to make the save on Philp’s shot. Zack Andrusiak had the second assist. Andrusiak tied the game 5-5 with 1:14 left in the game with Dorrin Luding on the bench for an extra attacker. Austin Strand took a shot that rebounded off Thompson to Andrusiak to the right of the goal. Andrusiak snapped the rebound past the goalie high. 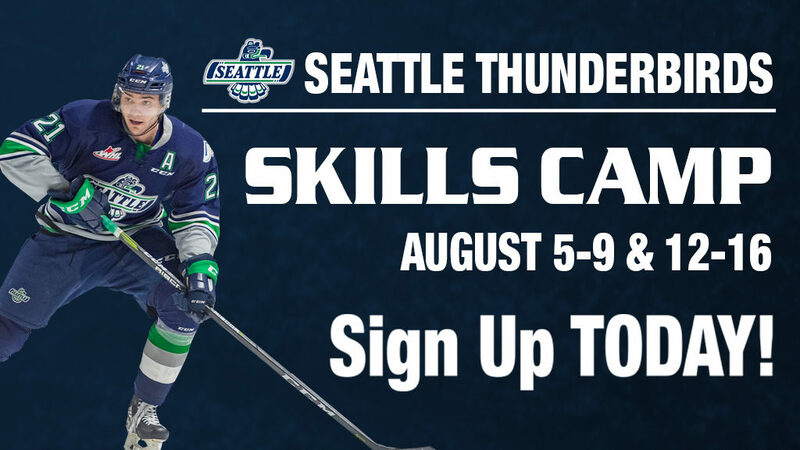 Noah Philp was the T-Birds first shooter in the shootout and he beat Brandon goalie Logan Thompson with a deke to his backhand. Stelios Mattheos was the Wheat Kings first shooter and he was denied by a Dorrin Luding glove save. Strand came up second for the T-Birds in the shootout. Strand beat Thompson through the legs. Ty Lewis was Brandon’s second shooter and he beat Luding to keep the Wheat Kings in the game. Donovan Neuls came up with a chance to win the game if he scored. Neuls skated at Thompson and beat the goalie over the left pad to send his teammates racing from the bench to mob him. Luding had 24 saves in the game and his record is now 8-10-1-0. 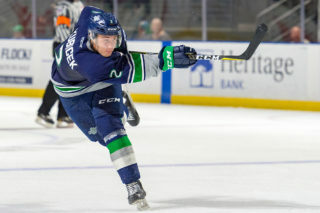 The T-Birds have a home-and-home series with the Everett Silvertips this weekend. Friday the T-Birds are at the Angel of the Winds Arena in Everett for a 7:35pm puck drop. 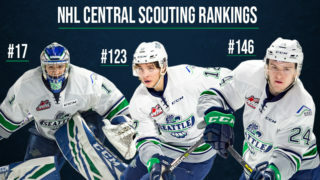 The T-Birds host the Silvertips on Saturday at 7:05pm at accesso ShoWare Center. The T-Birds travel to Kennewick to take on the Tri-City Americans on Sunday at 5:05pm. Brandon (28-15-3-2) took a 1-0 lead at 6:55 of the first period on a goal from Connor Gutenberg. Ty Lewis and Evan Weinger had the assists. The Wheat Kings made it 2-0 when Ty Lewis redirected a Chase Hartje slap pass past T-Birds goalie Dorrin Luding. Weinger had the second assist. Seattle (25-16-4-2) cut the Wheat Kings lead to one at 15:25 of the first. Neuls skated down the right wing with the puck. Neuls cut to the net and put a backhand shot on net. Neuls got his own rebound and slid the through Brandon goalie Logan Thompson’s leg. Jake Lee and Nolan Volcan had the assists. Brandon outshot Seattle 14-12 in the first period. Stelio Mattheos scored a shorthanded goal at 3:15 of the second to give Brandon a 3-1 lead. Linden McCorrister had the only assist. The Wheat Kings went up 4-1 at 8:56 of the second on a power-play goal by McCorrister. Mattheos and Zach Wytinck had the assists. The T-Birds started the comeback at 14:48 of the second. Sami Moilanen skated down the right wing with the puck. Moilanen stopped up and found Jake Lee at the left point. Lee skated into the left circle and put a hard wrist shot over Thompson’s blocker. Luding had the second assist with a pass to Moilanen. Seattle cut the Brandon lead to one goal at 17:12 of the third. Andrusiak chased a Brandon defenseman behind his net and forced a turnover. Andrusiak got the puck and found Philp skating down the slot. Philp put puck over Thompson’s blocker for his 11th goal of the season. The T-Birds outshot the Wheat Kings 13-6 in the second period and led 25-20 in shots after two periods. Lewis got the two-goal lead back for Brandon at 4:53 of the third period with his second goal of the game. Schneider had the only assist. Seattle outshot Brandon 9-8 in the third period and 40-29 in the game. Thompson had 35 saves on 40 shots and his record is now 23-13-1-2. First period – 1, Brandon, Gutenberg 15 (Lewis, Weinger), 6:55. 2, Brandon, Lewis 27 (Hartje, Weinger), 10:14. Penalties – Volcan, Sea (hooking), 2:09. Schneider, Brn (delay of game), 12:14. Higson, Brn (elbowing), 14:05. Wedman, Sea (hooking), 15:04. Second period – 4, Brandon, Mattheos 32 (McCorrister), 3:15 (sh). 5, Brandon, McCorrister 14 (Mattheos, Wytinck), 8:56 (pp). 6, Seattle, Lee 3 (Moilanen, Luding), 14:48. 7, Seattle, Philp 11 (Andrusiak), 17:12. Penalties – Higson, Brn (high-sticking), 3:02. McCartney, Brn (tripping), 6:24. Huo, Sea (goaltender interference), 7:14. Lee, Sea (boarding), 19:01. Third period – 8, Brandon, Lewis 28 (Schneider), 4:53. 9, Seattle, Hamaliuk 12 (Philp, Andrusiak), 12:29. 10, Andrusiak 22 (Strand), 18:46. Penalties – No penalties. Shootout – Seattle 3 (Philp G, Strand G, Neuls G). Brandon 1 (Mattheos NG Lewis G). Shots on goal – Seattle 12-13-9-6-1 41, Tri-City 14-6-8-1-0 29. Goalies – Seattle, Luding 29 shots-24 saves (8-10-1-0); Brandon, Thompson 40-35 (23-13-1-1). 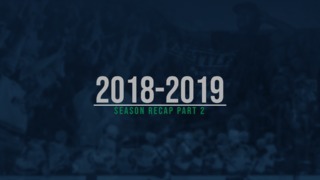 Power plays – Seattle 0-4; Brandon 1-4. A – 4,362. Referees – Adam Griffiths, Sean Raphael. Linesmen – Mark Heier, Nathan Van Oosten.